Just as it did with its Rancho Cucamonga pizzeria, Pieology is gearing up for three days of pizza giveaways as a kind of a stress test as a preamble to its Redlands store opening. On Sunday (July 13), giveaway times are brief and limited to the pizzeria’s “menued” pizzas from 11:30 a.m. to 12:15 p.m., 3:30 to 4:15 p.m. and 7:30 to 8:15 p.m.
Monday (July 14) and Tuesday (July 15) giveaways are scheduled to take place from 10:30 a.m. to 12:15 p.m., 2:30 to 4:15 p.m. and 6:30 to 8:15 p.m. Note that there are limited numbers of pizzas given away at each session, so come early in the session for your best chance at a free pizza. Giveaways are limited to one pizza per guest, obviously. 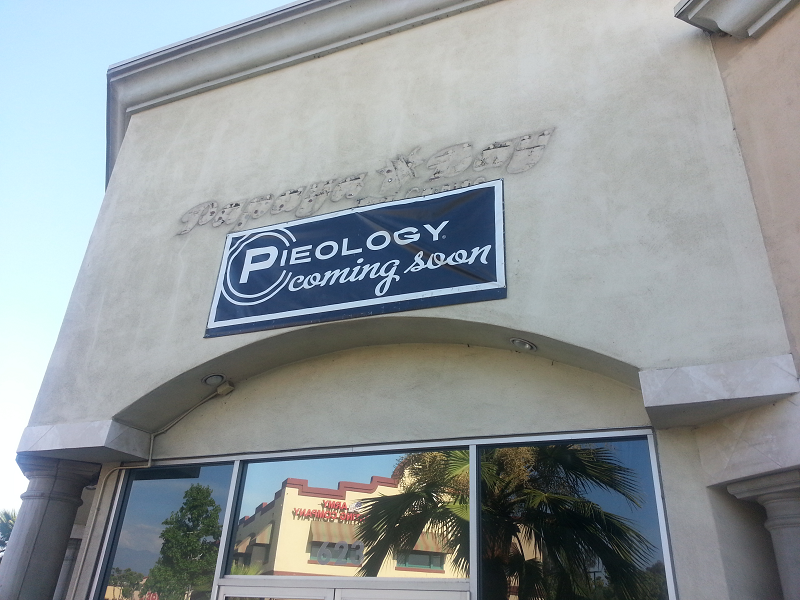 The new location, 623 Orange St., will officially open July 18. This entry was posted in Italian, Redlands and tagged free stuff by John Plessel. Bookmark the permalink.